Once I was given an assignment in school to design something that uses a pulse-sensor: the user holds the sensor for a given amount of time and is able to view the output range of values on a console of some sort. 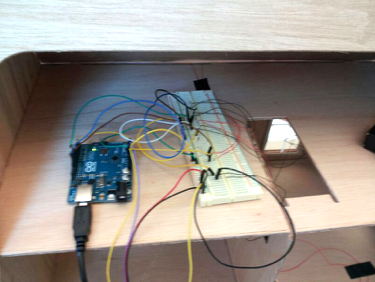 In this case, we were using the Arduino environment for this sensor. I didn't want to make a stuff-animal that a user would hold to take a pulse, or any product that looked like a medical design. I thought I could do way better with originality. 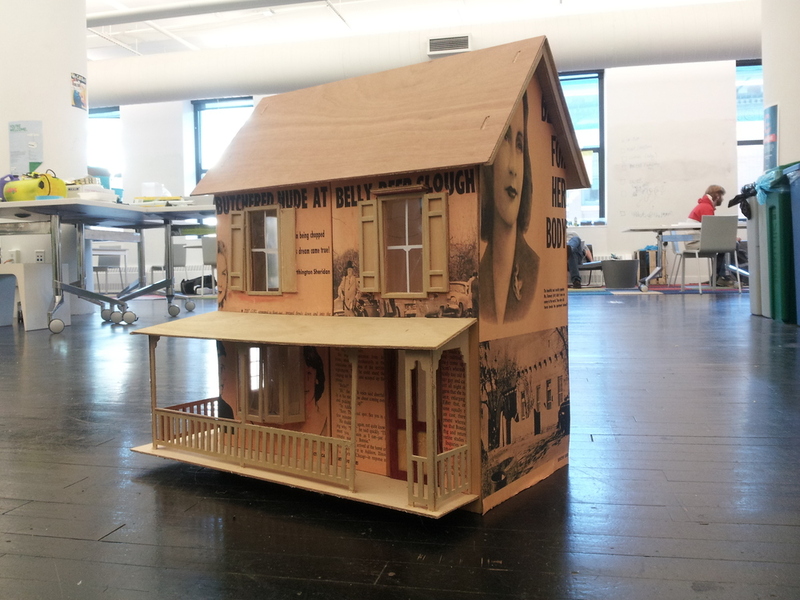 So taking this obsession with set design, the past, architecture and my new-found love of circuits and wires, I actually surprised myself and built this crazy dollhouse. Further, taking my grandmother's old 50's crime magazines, I scanned them and used them for the facade of the building. I have no clue what I was thinking. But after rigging the entire house with wires, LED lights, and motors, I programmed an environment that made the house come alive. each place the intruder has progressed is signaled by an LED light. the "victim" is in the attic which is the "end" for the intruder.